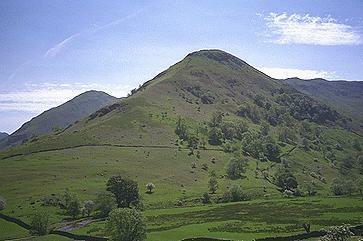 High Hartsop Dodd provides the backdrop for the lush pasture of lower Dovedale. The alternative descent from Dove Crag, via Little Hart Crag, comes down this spur. Middle Dodd lies in the background, to the left. Larger version of this picture.